Mustang has a long, rich and complex history that makes it one of the most fascinating corners of the Himalaya. The early history of lo is shrouded in myth and mystery. 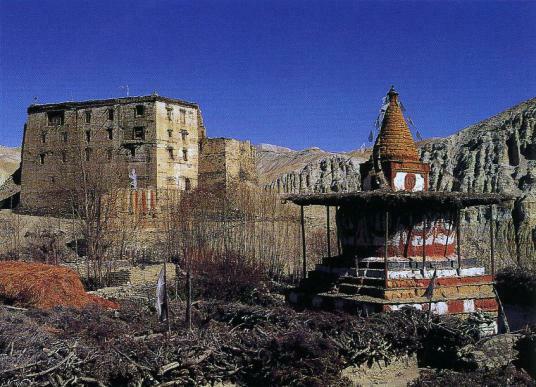 Although it is not proven, the Italian scholar Giuseppi tucci and other claim that the cave dwelling dotted throughout mustang go back thousand of years. For centuries the economic lynchpin of the region was the transformer exchange of Tibetan salt and wool for Nepali grain and spices, ferried down the kali Gandaki from the high passes of the kore la , Phutu la and Sherpa la. There are official records of events in Lodating backto the 8th century. It is quite likely that the Tibetan poet Milarepa visited Lo in the 11th century. 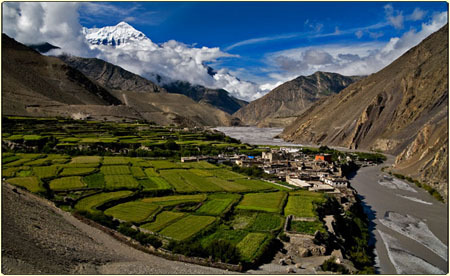 Upper Mustang was once part of Ngari, a name for far – weatern Tibet. Ngari was not a true political entity, but rather a loose collection of feudal domains that also included part of Dolpo . By the 14th century much of Nrgari, as well as most of what today is western Nepal, was part of the malla empire governed from the capital at sinja , near jumla .